Despite the weather (the humidity and the hurricane), I managed to get a good chunk of knitting done. The Loana Cardigan is a top-down, seamless raglan, so I started at the neck, did a handful of short rows (for the shoulders), and managed to make it almost to the armpit split by the time I got home. (Unfortunately for the sake of pictures, my circular needle is a little too short to let me lay out the sweater nicely just yet, so you’ll have to believe me that I’ve made the progress I said I made.) I usually tweak a few things, but I really like the simple design of this sweater. So I only changed one thing. (Ha!) 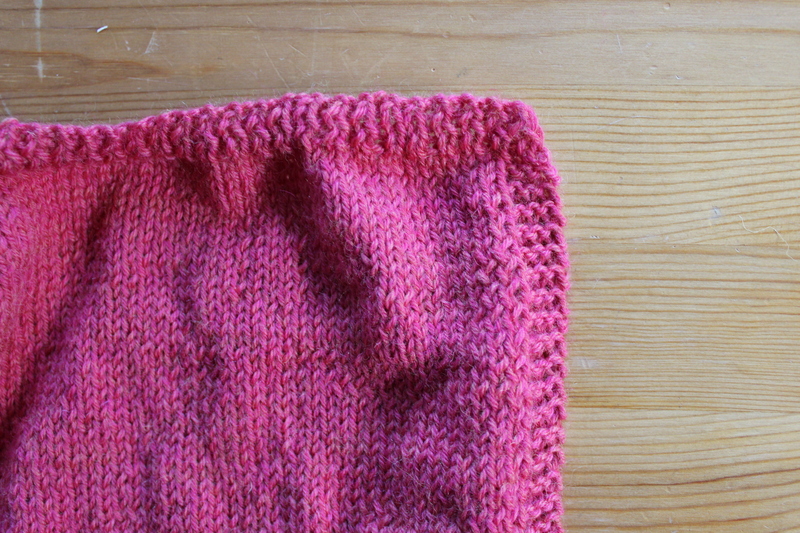 The pattern calls for vertical ribbing along the front edges of the sweater. I decided to do a few stitches of garter stitch instead (since garter stitch kind of looks like ribbing, just pointing the other direction). I think it’s looking pretty good, and should lay nice and flat, when I’ve finished the sweater. There’s nothing more satisfying than a lovely, well executed raglan increase, if you ask me. You just pick four spots, and increase 2 stitches at each point on every RS row, then BAM, you’ve got a sweater! It seems too simple to work, but here I am, making another awesome raglan sweater. The neat little rows of increases are so pretty (and functional), and make me so happy. (OK, maybe I get little too sentimental about shoulder shaping. So sue me!) 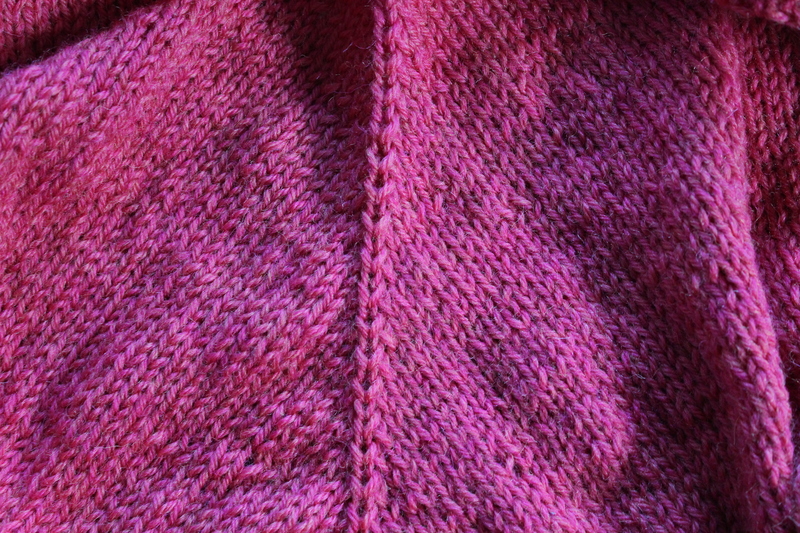 Have you ever made a top-down seamless sweater before? How did it turn out? What was your favorite part of your project? This entry was posted in On My Needles and tagged cardigan, loana, loana cardigan, papaya sweater, sweater, wip on September 18, 2017 by onemilljellybeans. That’s really pretty–and so practical, too. I think you’ll get a lot of use out of it. I made a top down raglan mini sweater as part of a challenge recently. I loved it! The way the increases line up so nicely is so satisfying! The sweater looks great on a teddy bear I knit! 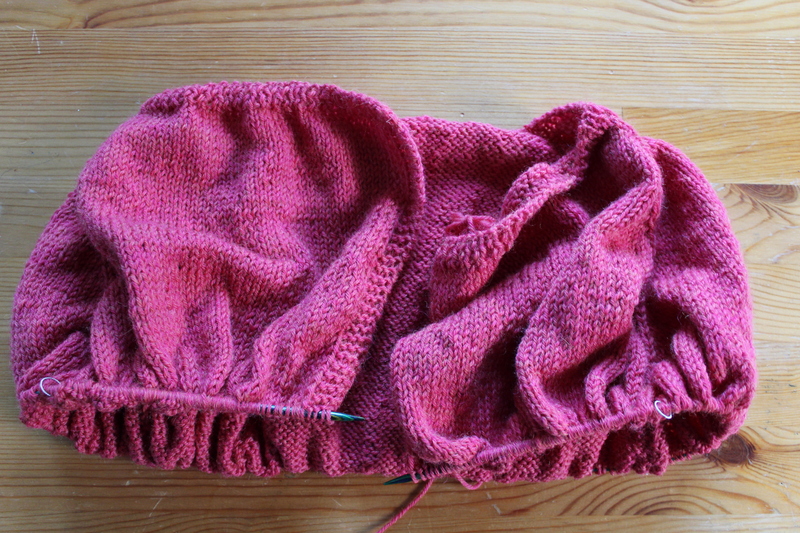 I am closer than ever to knitting a people-size sweater, yay!